After the 2008 financial crisis, the private aviation industry came to a grinding halt, as individuals and corporations looked to sell their fleets of private planes to re-balance expense accounts and satisfy shareholders. However, a decade later the private aviation is flying again for several reasons. Like all other modes of transportation that have been hit with disruption, the private aviation industry is no exception. This is seen through the influx of private flight chartering companies attempting to ‘democratize’ the industry and entice commercial jet-setters over to the more affluent private jet lifestyle, even if they are not of millionaire or billionaire status. Which is also part of the reason why first-class travel is becoming a thing of the past. These platforms can offer private flights at more appealing prices as they enable passengers to share their experience with other small groups of passengers. Companies that are at the forefront of this disruption include StrataJet, JetSuite, JetSmarter, SkyJet, SurfAir, Stellar, and PrivateFly. Additionally, and not surprisingly, Trump’s new reforms have also increased the uptick of the private aviation industry. In late 2017, the Republicans’ Tax Cut and Jobs Act introduced a reform that has allowed jet owners to write off 100% of the cost on a new or used private jet against their federal taxes immediately. This deduction can account for the majority, if not all, of a wealthy individual’s tax liability and means, for some, the jet could essentially be free. Since the reform was introduced the demand for private jets has significantly escalated. And it has provided tax lawyers a loop hole for their jet-setting clients by advising them to buy private jets, as they can be used for “work”. Ask Suzanna Meiners-Levy, the owner of a Florida-based tax boutique that helps businesses buy planes, and saw a 30% increase in clients in 2018. 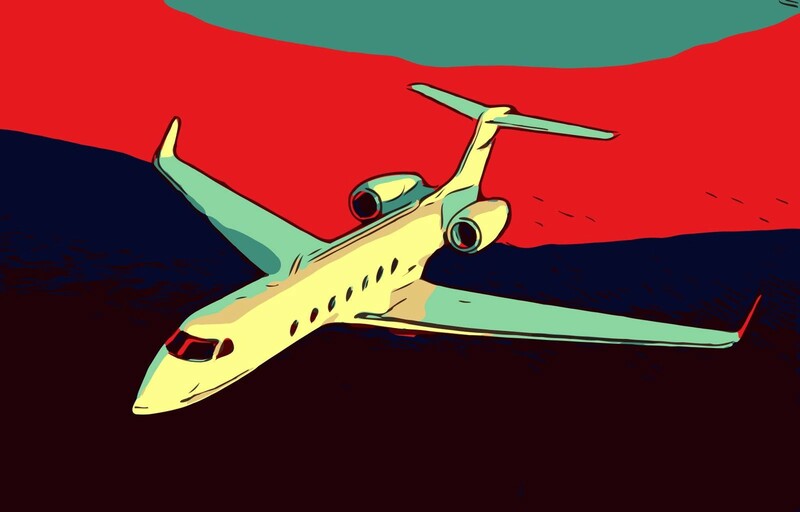 What exacerbates this contentious issue is the environmental impact of private jets. 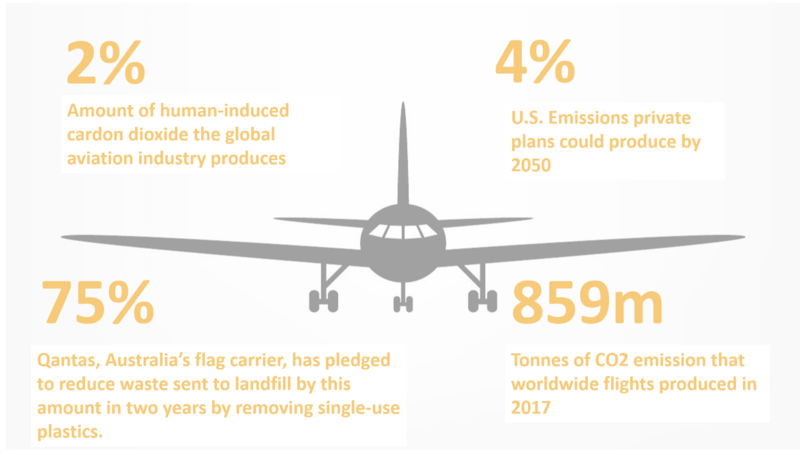 According toTerrapass, a half-full private jet flight from London to Paris generates ten times as much carbon emission per passenger than a standard commercial flight. Despite private planes alone contributing to 0.9% of the overall U.S. carbon emissions today, these emissions are largely unregulated. Both the Kyoto Protocol and Paris agreement, two treaties to limit climate change, exclude aviation from the agreements; which is surprising when aviation is the fastest growing source of greenhouse gas emissions from the transportation sector, accounting for 13% of total emissions. The President has long had a long obsession with private jets, and under his new tax law he is making the market more accessible for people who may have never been able to afford private planes before. This policy reform is evidently detrimental for the environment, and action must be taken to ensure these carbon emitting jets are more heavily taxed and regulated instead of subsidized. In October 2003, supersonic travel came to an end as British Airways seized operating its Concorde fleet. However, supersonic travel may be coming back as President Trump signed a bill in October 2018 to lift the ban of supersonic jets in America. NASA is planning to test an X-59 QueSST prototype over major U.S. cities in 2023, along with many other startups in the space with the same ambitions. Boom is another exciting company to watch in the supersonic space. Wright is an innovate new startup in the aviation space, that is aiming to bring an electric commercial and private airliner that runs on batteries. Travel a lot and worry about your environmental impact? Buy carbon offsets through Terrapass.